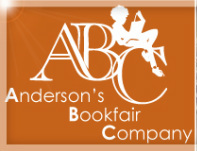 For your convenience in purchasing the required titles for the spring semester, a virtual Anderson’s Book Fair will be held through January 8, 2016. All order forms must be turned in to the library by 3pm on this day. Books may be purchased online through Anderson’s or ordered at school paying by check made out to Lake Park High School. To determine which titles to purchase and the prices if the books are purchased at the book fair, please refer to the English class listed on your student’s schedule and compare it to the list included below. Books will be delivered to English classes approximately two weeks after the close of the book fair. To determine which titles to purchase and the prices if the books are purchased at the book fair, please refer to the English class listed on your student’s schedule and compare it to the list.